Nowadays the large tapes in the video camcorders are being replaced by the mini DV tape. The use of DV tape is convenient since it occupies less space and it’s not that much bulky to carry. 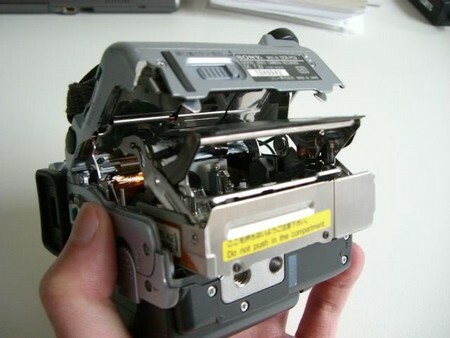 In a camcorder changing the DV tape is very simple process. At the initial stage it may be quite confusing, but with a focused concentration and with practice we can easily do this job. Some of the easy steps on how to change the DV tape in a camcorder are shared here. The first step is that we need a new DV tape. We can purchase the DV tapes of any brand from many any shops. We most note this point that a bulk purchase is always cheaper than buying a few numbers or even one. We can buy these DV tapes online also. There are various websites available for this purpose. We can refer edgewise-media.com for cheaper rates of DV tapes. Various brands available in this website are Sony, Panasonic, Maxell, TDK, Fuji, and JVC. Before inserting the new DV tape we have to remove the older one from the camcorder. We have to find the eject button and push it. The tape holding slot’s door will open. We can remove the older DV tape then. We must label the older tape about it contents and recordings. We must lock the old DV tape in its side which is already recorded for the purpose of avoiding over recording. The next step is inserting the new DV tape in slot provided for it. We must open the slot door. We must remove the plastic cover on the new DV tape. We have to take it out from the crystal case. After this we must insert the DV tape in the slot. We must close the slot door after inserting the DV tape. If you are not able to close it then you might have inserted it wrongly. You must remove the tape and flip it and then insert it again. These are the steps which describe how to change the DV tape in our camcorder. Each camcorder comes from different brands. There may be slight modifications in their operation and functions. We can easily operate them by reading their manual and referring their operation and function in websites before changing the new DV tape. The footage recorded by using the camcorder can be easily transferred and modified by using the computer. We can either transfer all contents from the DV tape or directly connect the camcorder to the system by using a cable. Whatever be the case we must go through the manual of the camcorder first so that we can easily understand its operation and we can handle it easily.